What are the top landmarks in Aberaeron? Devil’s Bridge, situated in Ceredigion in Mid-Wales, is a strikingly unusual structure, which rises high above the River Mynach. It stands at the point where the river drops 300 feet down a steep and narrow ravine before it meets the River Rheidol. If a restful holiday is part of your travel plans, Aberystwyth Beach might be the perfect place to visit during your trip to Aberystwyth. Stroll along the area's seaside or simply enjoy its bars. Walk around the ruins of a 13th-century coastal fortress, once a powerful and important defensive stronghold for an English king. 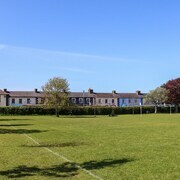 Explore the great outdoors at Constitution Hill, a lovely green space in Aberystwyth. 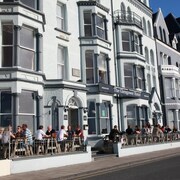 Stroll along the area's seaside or simply enjoy its bars. You can spend an afternoon studying the exhibits at Ceredigion Museum during your trip to Aberystwyth. Visit the top-notch restaurants or lively bars in this walkable area. New Quay and Aberaeron nearby. The location is perfect for exploring Aberaeron (you must try the honey ice-cream at The Hive), Aberystwyth, New Quay and surrounding villages. Hotel rooms were clean, in good condition. Would happily stay there again. 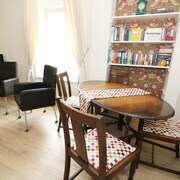 Has plenty car parking spaces and only 20mins walk from town centre. The only downside was that the air conditioning system was quite loud. Located in the coastal county of Ceredigion in Wales, Aberaeron is a small but striking seaside town, offering some truly breathtaking Welsh scenery. With seafood fresh from nature’s nearby reserves, and beautifully prepared, welcoming local pubs with wide-ranging local craft beers, pastel-tinted Georgian architecture and verdant fields fringing it, Aberaeron is the perfect place to stay. What’s more it has an excellent selection of cosy hotels, hostels and other accommodation options. 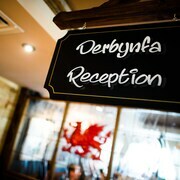 If you’re after a seaside break with rural Wales on your back doorstep, or simply want a retreat from the busier Welsh cities of Swansea and Cardiff, you’ll find the hotels and guesthouses in Aberaeron offer a warm welcome and the best of Welsh hospitality. Aberaeron has a long history of hospitality, which is evident from its small but idyllic range of hotels, overlooking the historic harbour and the stunning Cardigan Bay. 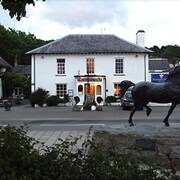 A number of the town’s centrally located hotels are situated in 18th Century Grade II listed buildings. 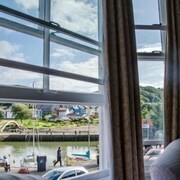 Find a hotel on the harbour side and awake to the gentle clatter of masts like a clock ticking the morning in. As the town is famous for its seafood, stay centrally and you’ll be close to the best restaurants. Or, for total rural relaxation, lie back in the lap of luxury in a spa hotel in the nearby countryside. 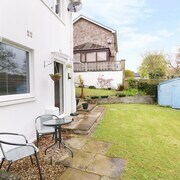 Unlike many urban guesthouses, those in Aberaeron tend to have unusually large gardens and plenty of private space, so you can enjoy your own space as well as a hearty breakfast to set you up for your day’s walking or dolphin watching boat trip. 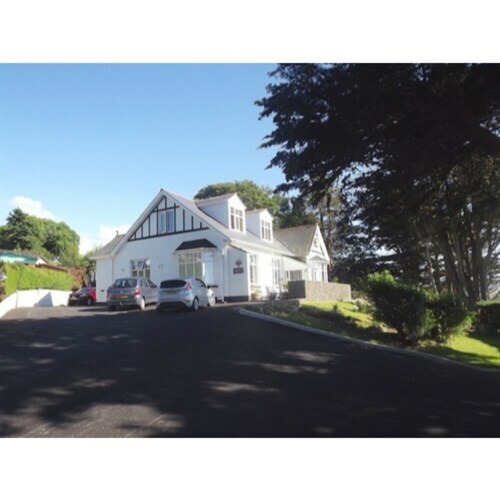 Comfortable, clean and equipped with all the modern amenities you could need, you’ll be pleasantly surprised by the quality of the bed and breakfasts on offer in Aberaeron. 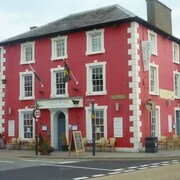 There is no shortage of places you can call your own in Aberaeron. Take your pick from farmhouses, villas, harbour houses, country cottages, bungalows and, even, a converted barn! A self-catering cottage in Aberaeron is the perfect choice if you’re here as a group, whether you’re here to walk, cycle, fish the River Aeron or simply to get away from it all. Head to a local farmer’s market for some local produce for dinner: there’s one that takes place every Tuesday in Alban Square, where you can buy fresh fruit and vegetables, locally produced honey, mustard and artisan breads. 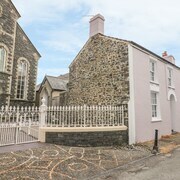 Due to the many walking trails in the area, including the well-known Dylan Thomas Trail, campsites and caravan parks are also very popular here. There are dozens of campsites, caravan parks and backpacker’s hostels in the immediate locale. Pitch your tent on an inland farm nestled in the heathers of the Welsh countryside, or find a backpacker’s hostel on the edge of the nearby Pembrokeshire Coast National Park. Make the best of both worlds in this delightful seaside resort close to the stunning Welsh countryside. Book your hotel with Expedia today. Explore Aberaeron with Expedia's Travel Guides to find the best flights, cars, holiday packages and more!